Get your party started here! 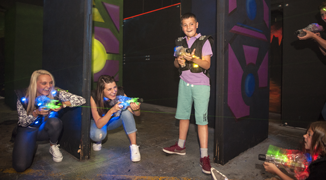 Whether you are planning fun activities for work, youth groups, sports team party, Scout outing, Boys Brigade, Stag/Hen party or any other group outing, there is no other experience in Glasgow quite like this – a totally unique arena for up to 30 players, hi-tech kit and the opportunity to go karting, or try and crack the laser vault! Lazer Planet will assist your group in developing: New Friendships, Teamwork, Leadership, Communication skills, and Peer Support. 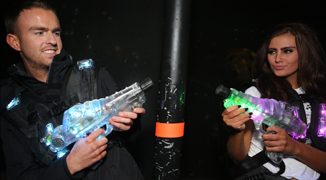 The most important element we will bring to any event is our ability to ensure that everyone will have fun playing laser tag! 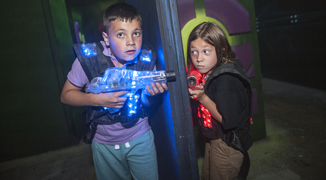 Enjoy a Lazer Maze competition for priceless video footage!